Steven Wright was born in 1955 in Cambridge, Massachusetts in the United States. This stand-up comedian is known for his distinctly lethargic voice and slow, deadpan delivery of ironic, philosophical and sometimes nonsensical jokes and one-liners with contrived situations. Over the years he’s released 1 comedy album (entitled I Have a Pony) and 5 DVDs. His most recent DVD was released in 2007 and is entitled I still Have a Pony. Steven Wright has also appeared in various films over the years including So I Married an Axe Murderer (in 1993), Natural Born Killers (in 1994), Canadian Bacon (in 1995) and Half Baked (in 1998). He was also the voice of K-Billy DJ in the 1992 film Reservoir Dogs. He’s definately one of the kings of One-liner jokes (the other being the late Rodney Dangerfield). I must admit that some folks will think that his humor is a bit dry, but it’s an acquired taste in my opinion. 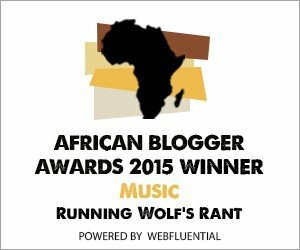 Watch this space for regular updates in the Humor, Movies, Music, Technology, Television, Facts, Sport and Opinion categories on Running Wolf’s Rant. The Babes and Photography categories are also updated daily. Feel free to comment on anything that you might find interesting here. Feedback is appreciated and welcome.